October is bursting with limitless learning and teaching opportunities! This week we focus on everything from Halloween and the mysterious works of Edgar Allan Poe, to Columbus Day and exercising our civil rights. 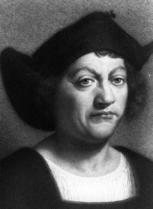 Did Columbus really discover America? Travel back in time to help your students explore the answer. Resources include videos, articles, speeches and pictures. Games, treats, costumes and more! Get ready for some spooky good fun with PBS KIDS new Halloween website. Resources include videos, music, coloring, multimedia and family activities. to be a good neighbor!